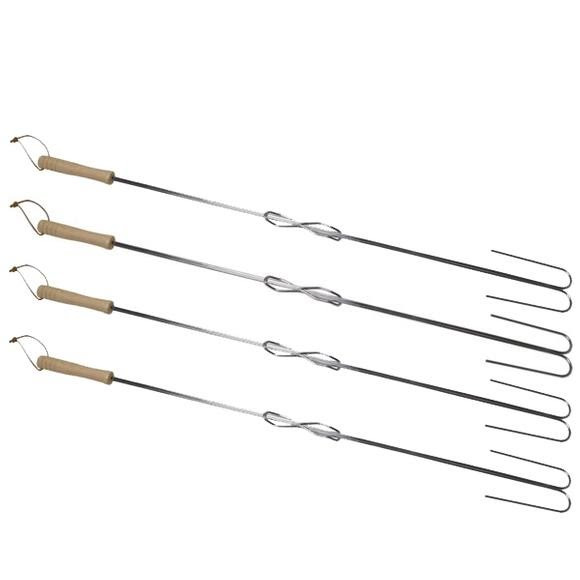 No need to stumble around the woods or cut down fresh young saplings if you've got Camp Chef's Extendable Safety Roasting Sticks! Enjoy roasting tasty hot dogs and marshmallows over glowing embers to cook up delicious flavors and smells. No need to stumble around the woods or cut down fresh young saplings if you&apos;ve got Camp Chef&apos;s Extendable Safety Roasting Sticks! Enjoy roasting tasty hot dogs and marshmallows over glowing embers to cook up delicious flavors and smells.